Amanda Fisher and Paul Bright founded EDIA Maps on the notion that every day is an adventure. 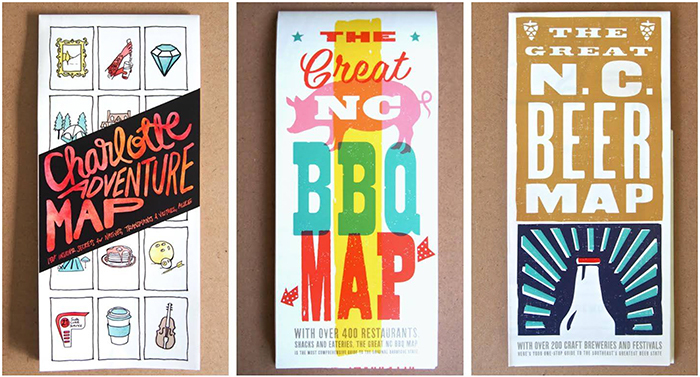 They launched in 2014 with the first printed road map of North Carolina’s best barbecue. The foldable map features more than 450 off-the-beaten-path eateries that encourage culinary exploration across the state. They followed up the success of that map with the release of The Great NC Beer Map, a comprehensive guide to 180+ craft breweries. 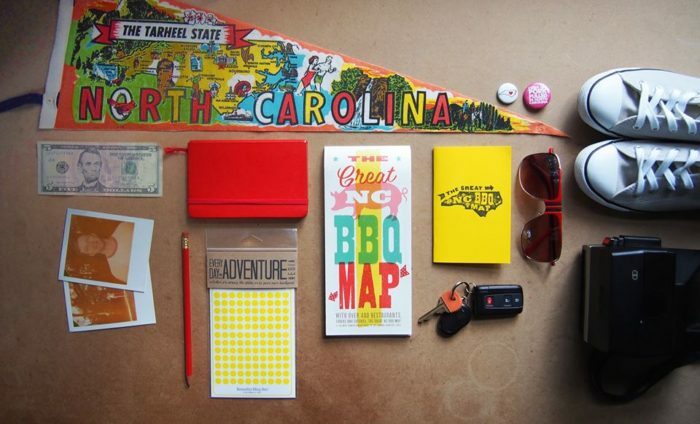 Most recently, they made their first city-specific Charlotte Adventure Map with suggested itineraries, road trips and photo ops. Now they’re turning their print guides into an interactive statewide tour. 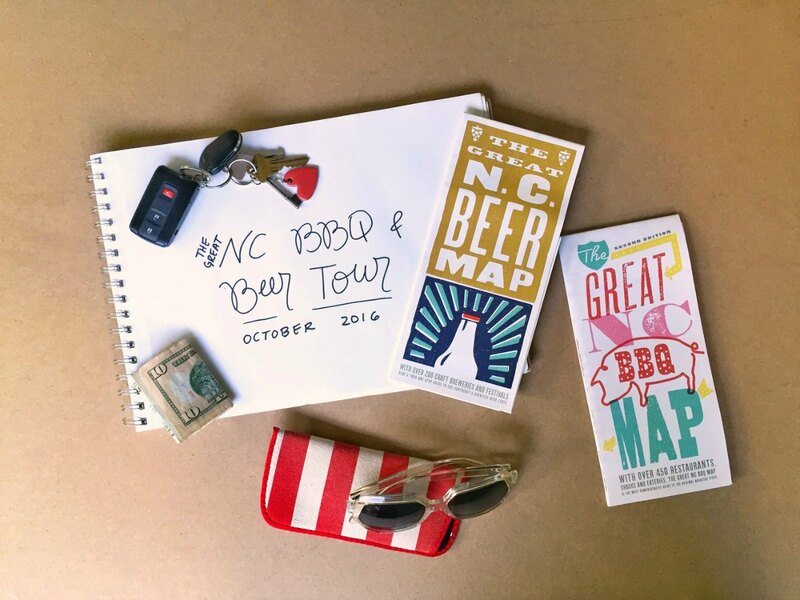 Just unveiled yesterday, The Great NC BBQ & Beer Tour is a three-part regional excursion throughout the month of October. You can purchase individual regions (Eastern, Piedmont or Western) for $30 each or roll them into a statewide bundle for $75. Your ticket includes four stops per day at different beer and barbecue joints where you’ll get to participate in behind-the-scenes demos, tours and tastings. The first day, for example, includes a hushpuppy demo at Sid’s Catering in Beulaville, a knife skills workshop at Haulin’ Hog BBQ in Goldsboro, a pork rind demo at White Swan Bar-B-Q & Fried Chicken in Smithfield and a smoked malt sampling at Wilmington Brewing. Statewide tickets must be purchased by Sunday, September 25 to participate. The Eastern tour is October 1-2, the Piedmont tour is October 8-9 and the Western tour is October 15-16. Keep in mind this is a self-guided tour. 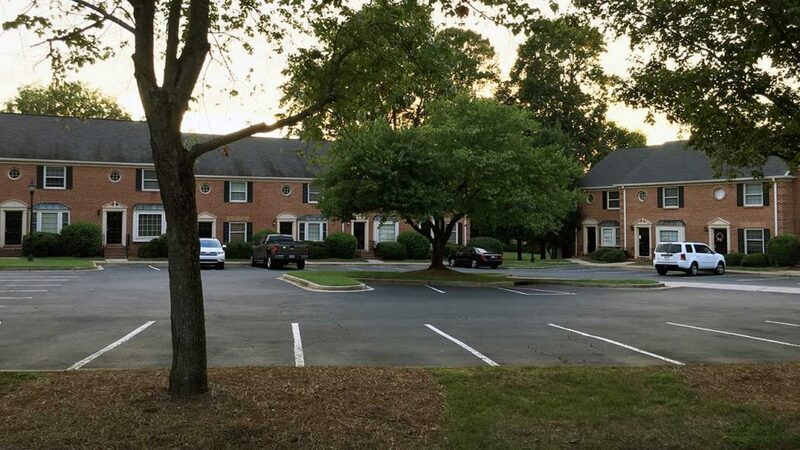 Demo dates and times are set for each location, but how you get there and where you stay overnight is up to you.